WARNING: seriously gorgeous polishes ahead!! Good Morning and happy Monday!!! I hope you all had a great weekend. Can you believe that in 2 shorts days we’ll be in March! March you guys! The beginning of the month can only mean one thing…Literary Lacquer’s Pop-Up Shop!! The first weekend of the month Amy opens the shop with a few new and/or returning polish favorites. If you missed it last month, I’m sorry 😞, but all hope is not lost, you still have an opportunity to score some major beauties this weekend! 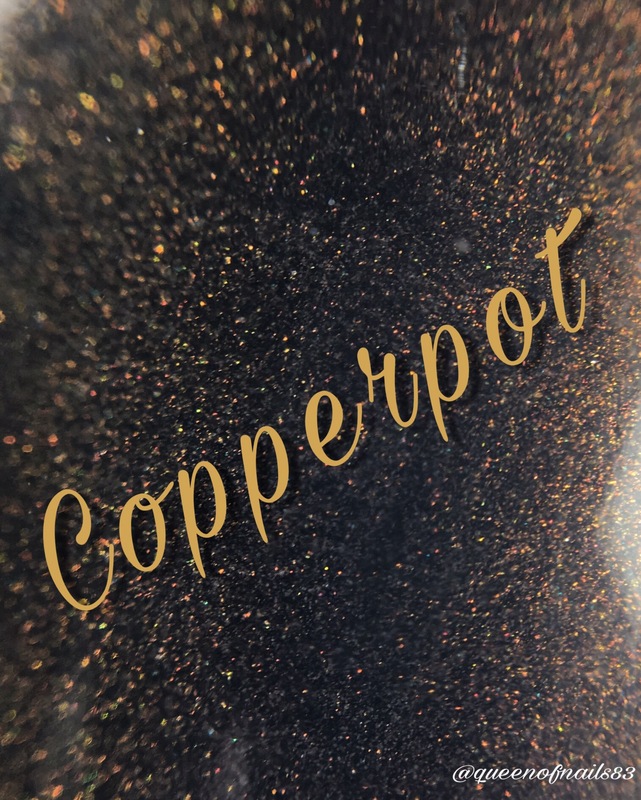 Amortentia – a champagne rose gold almost metallic holo with glass flakies. Inspired by the love potion in Harry Potter, and designed with Rachel McNulty for her geeky wedding. Availability: Friday, March 3, 8pm MST to Sunday, March 5, midnight MST. While, new polish is not necessarily limited edition, but she has no current plans to stock it again after this pop up. 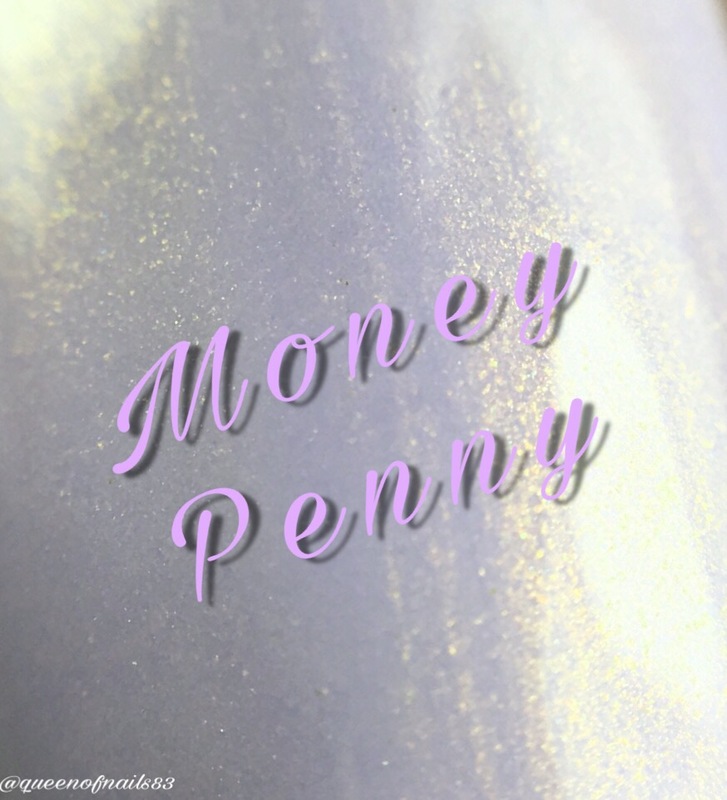 Overall: these polishes will be a welcomed addition to any collection or if you’re just starting your indie experience, these polishes have such an amazing formula that you will instantly be hooked to all things INDIE!!! What are you shopping for this week/weekend? It’s humpday Wednesday and I survived!!! I survived my daughter’s 10th birthday party, which was a blast btw, and I survived their extended weekend. If you remember from Monday I told you my kids had Monday and Tuesday of this week off from school, ugh, but I got through it but most importantly, THEY got through it alive…lol!! So here we are 9 weeks and 3 days away (not that I’m counting) from one of thee most exciting events of my life. I have been looking forward to it since it was announced last year…POLISH CON!!! This year Polish Con will be taking over NY and it’s gearing up to be a polish-tastic event. One of the makers I’m looking forward to meeting is Chrissy of Turtle Tootsie Polish. But we don’t have to wait until April, let’s get Up Close and Personal now! People that don’t use their turn signals….ughhh they are there for a reason! Dessert. I love everything cake. Smurfette. I’ve always loved her. A powerful woman. I decided in 2012 after a rough battle with breast cancer, II wanted to start making polish, bought supplies, got a testing group together and began. 2 1/2 years later I launched! What makes my brand different is I do the kind of polishes I want to do. I don’t always follow the “latest” trend. I’m more personal than that. I’m married to another cancer survivor. He survived thyroid cancer.What advice/tips/best practices would you give someone wanting to start their own polish company? Have a good business plan and research, research and research again. It’s expensive and difficult. Don’t expect to make a profit for a long time, but don’t give up! I have tons of Smokey Mountain Lacquers and 77 Nail lacquer. Of course I have a bunch of Cupcakes as well! I love supporting other brands, I feel we all should support each other. My Easter collection from last year is my favorite. I’m a total pastel holo freak and Iove this collection! 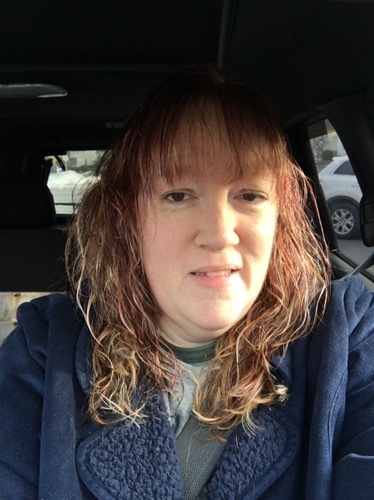 I’m a crafter so I like scrapbooking, crocheting and knitting, and going to baseball or hockey games. I’m a turtle lover and I love things that are cute. This brand stuck in my head and nothing else I came up with worked for me. I love the interaction with the fans and being able to make polish as a form as stress relief. My “normal” job is very stressful and polish is my ‘outlet’. There are too many to name just one, I’m always up for a good collaboration. Happy Monday, back to the drawing board…sigh. My kids, yes all 3, are off from school today for President’s Day AND tomorrow for ‘Professional Development Day’…whatever that means. Like they need another day off, to sit home and fuss and argue and eat. My goodness, that 14yo of mine eats and drinks everything in sight. And the 2 girls…don’t even get me started. So pray for me today and tomorrow that I make it through alive. If you don’t see a post from me on Wednesday, please send help. 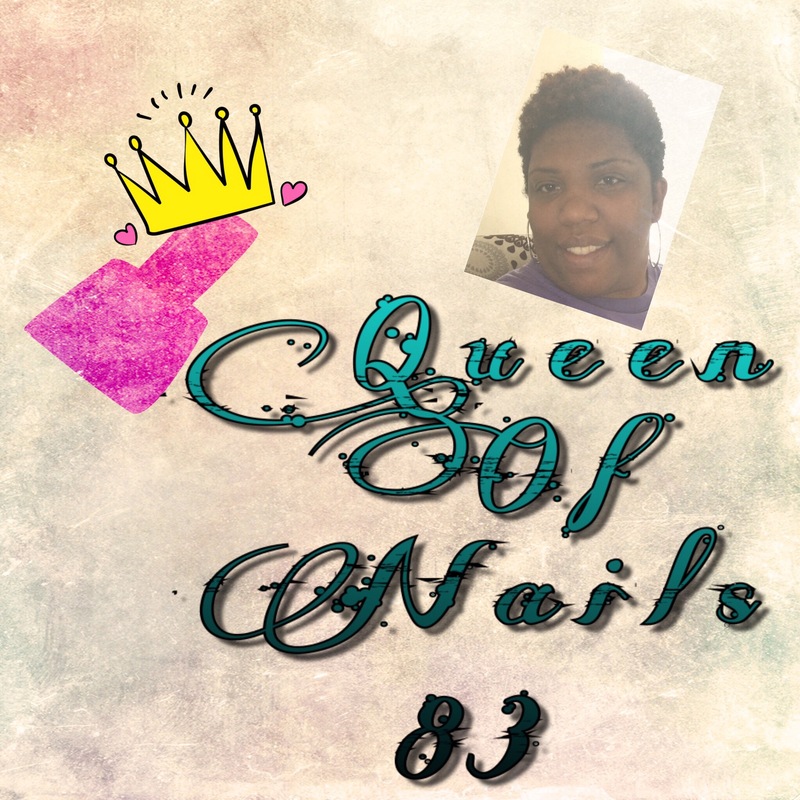 Today I have swatches for you from a brand sorta, kinda new to the the Queendom, Alter Ego. You may remember this brand from Rachel’s Rainbow Box, November and January MAPB, if not, be sure to take a look. Cynthia Decker, maker and creator of Alter Ego sent me 3 polishes to swatch and review and I’m pleased as pie to have them for you today. You’ll notice, ‘From the Maker’ notes for each polish and their description, I decided to include them to help set a visual. Formula: Barrel and Girly are a bit on the sheer side, very jelly, but intended to be that way. Because I prefer NVL, I would definitely use them with a white base. Application: easy to apply however, if not using a white base and applying multiple layers, dry time is prolonged. Overall: Well you all know that pink is my favorite color so Girly Girl was my favorite of the 3. Not saying I didn’t like Barrel Setter and Trusty Dusty, because I did. Barrel Setter, especially with black nail art, gave me a Tony the Tiger feel and Trusty Dusty made me miss the fall season that we here in MD skipped over. I can definitely see me using the orange and pink with the yellow from Rachel’s Rainbow Bow for a gradient. Not only does Alter Ego sell polish, they also offer body care products including soap and lotion and wax tarts. Be sure to check out the online store to score these polishes and more goodies! It’s FriYAY!!! Tomorrow my middle baby will be 10 years old, feels like I just brought here home from the hospital. #slowdownfathertime! Anywho, tomorrow my house will be filled with 8, yes 8 of her closest friends and cousins for her party. But a party ain’t a parry unless there’s polish. Instead of the usual bowling or movies and pizza, the girls will be making their own custom polishes and tie-dye/puff paint shirts! And of course I had to make sure I had enough for me to join in on the fun. So brace yourself indie world, I could be fostering the creative genius of the next big indie polish maker. 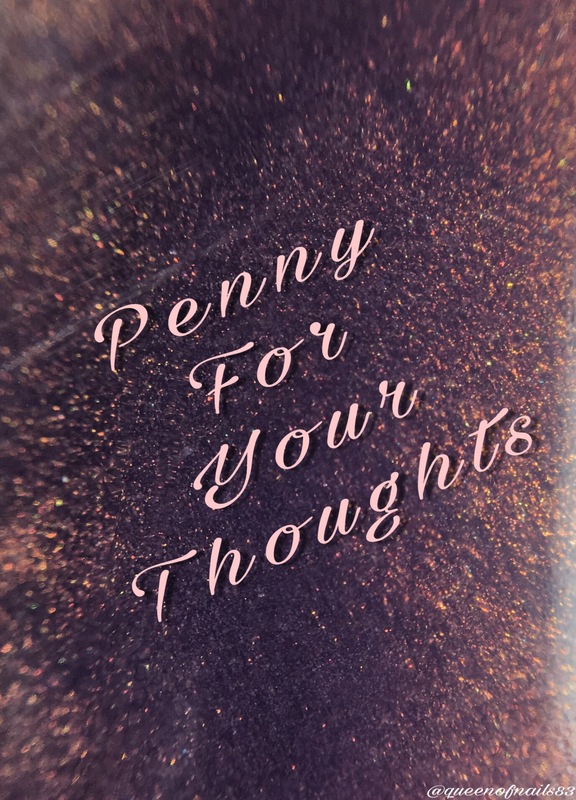 Today, I promise to keep the remainder of this post short and sweet because by now I’m sure you have already seen swatches of the Copper Penny Collection by Native War Paints (NWP). If not, then you’re in for a real special treat. This 6 polish collection is releasing today, 2/17, in less than an hour so who’s ready to do some shopping?! 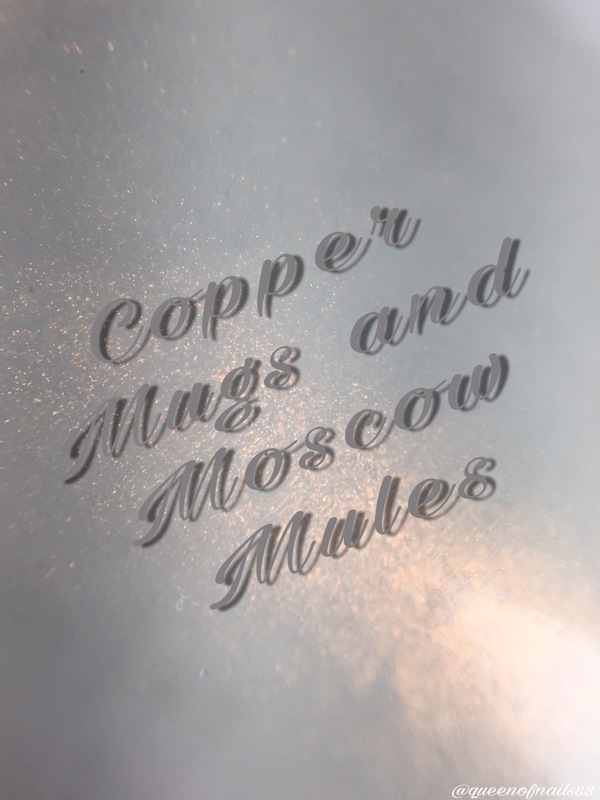 All the polishes in this collection have 1 thing in common…COPPER SHIMMER!!! If shimmer is wrong, I don’t wanna be right. So lets get right in to the swatches! A pale lilac with copper shimmer. Opacity: 2 thicker coats of the light shades and 1 coat for the darker. I’m such a slacker! Hubby and I took the day off yesterday to spend Valentine’s Day/wedding anniversary together and have a date day. We enjoy date days because hello…no work and kids are at school so we don’t have to find a baby sitter, win win! But even as of this morning I am still finishing up this post…ugh! 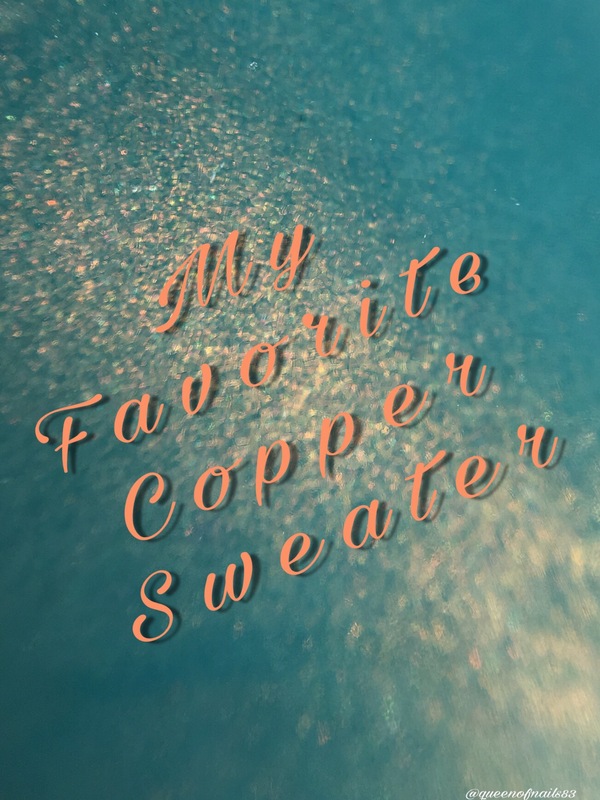 Even though the day of love has passed, I am still in a loving spirit because today’s featured maker is Allison Tyropolis of LE Polish. 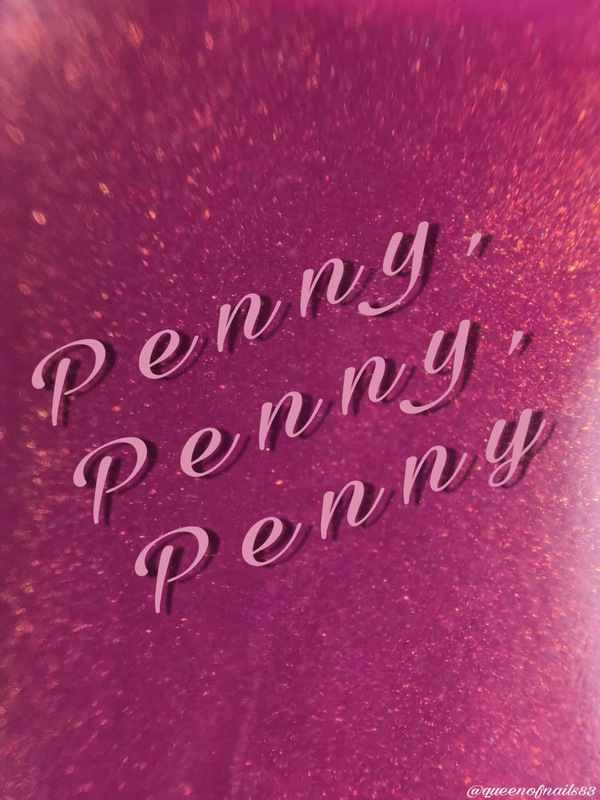 You may remember Allison from previous posts including 12 Days of Polish where she teamed of with 11 of the best bloggers, and me, to create 12 custom polishes or from Libra Scale Birthday Club Custom, but today she here so we can get Up Close and Personal. Both. The afternoon is when I accomplish the least. The practical side of me wants to say food, water, shelter, clothing, and firewood, but that’s no fun, so I’ll go with my family, nail polish, books, flavored seltzer, and lip balm. Night on the town with friends or evening alone at home? Evening alone with my Netflix please! I’m going to go with Daria again. Although TGIF was my jam back then! Well, my brand logo has a bee, so probably that. Plus bees are nature’s environmentalists! I had been an indie fan for a while before I decided to try my hand at mixing. Once I finally tried mixing my own polish, I knew I couldn’t turn back. I’m a creative person by nature, so I like making and producing things for other people to enjoy. My brand is different because it’s a representation of me. I love the vintage romantic style and I try to let that show through in my branding and packaging. As far as polish is concerned, although I try to mix it up, I love making crellies and feel like my crellies are somewhat different than many you see out there. Anyone who’s in my FB group already knows this, but I can’t do nail art. Not even a little bit. So I’m always so in awe when I see the beautiful nail my customers produce! I love all my babies equally like a good polish mommy, but I have to say if you twisted my arm, I really loved my Love Your Mother Earth Collection. It’s fun and bright and sparkly, it has a Greek goddess and Earth Mother theme. It was one of the first collections I did that really showed my signature crelly style. Business-wise, I love interacting with my group and planning events – like giveaways, launches, restocks, etc. I probably should have been a party planner in another life. I love seeing customers enjoying and using the polishes that I make. Please keep posting your mani shots ladies! I love collaborating with other makers, whether it’s to create a box, or just to bounce ideas off one another. It’s refreshing to get a glimpse into someone else’s creative process. le polish is named after my two sons (l and e are their first initials – this is also why they are both lowercase. I didn’t want to capitalize one and not the other). The logo was a labor of love. My first logo was fairly generic. I went for something simple and cute, but when it came down to it I was never really happy with it. For my 1 year brand anniversary I decided to change it to something that represented me and my brand. 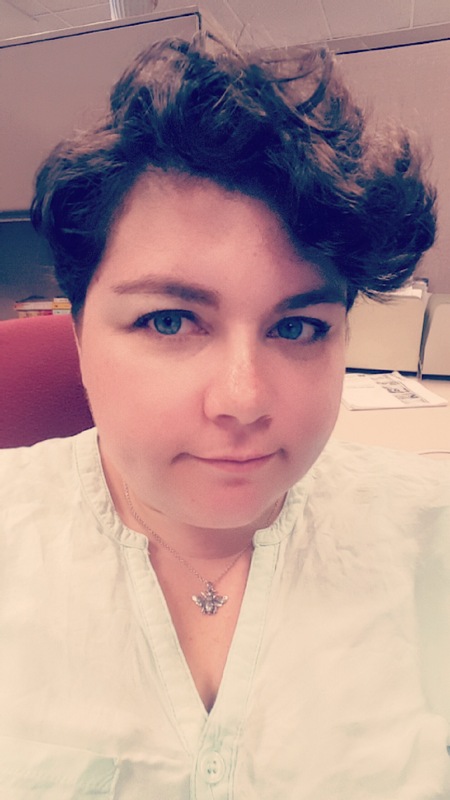 I’m very into vintage things, so I knew I wanted a vintage look. And I consider all the women in the polish world to be queen bees, so the queen bee was a perfect fit! I have knitted since I was a little girl. I’ve taken a few custom orders for knitted pieces, and if I had time, I’d like to get into that a little more. Right now I’m working on getting my limited editions for Polish Con all wrapped up! I can’t wait for you guys to see them and I’m looking forward to meeting everyone who can make it to Polish Con NYC!!! My brand slogan is actually “Be Your Own Kind of Beautiful.” I stamp it on all my packages. The great thing about the indie community is we’re very supportive of individuality, which I love and wanted to celebrate! I love the creative process. I get inspired by things around me and my interests and I make it into something pretty you can wear on your nails. What’s better than that? I also love interacting with my customers and other makers and bloggers. My customers and bloggers are the best and other makers have been so friendly and supportive of me. I love our tight knit community. Well that will do it for today. Be sure to join us back next time! It’s literally Saturday evening at 6:20pm est and we’re on the way home from my FIL bday diner and I just remembered…my post isn’t ready for Monday. Thank goodness for the WordPress app because this is one post that the people won’t want to miss. So while hubby is driving, I can sit back and finish up. This post is filled with amazingness so please be ready to take notes and set an alarm! From the upcoming and highly anticipated Polish Con (PC) to Multichrome Madness FB Group Customs one would think that would be enough for any maker. But not Mariah of Great Lakes Lacquer, oh no, she goes and creates more goodness, more beauties, more polish. Today I have the newest collection releasing this Friday, the Polishing Poetic Collection. This collection features 8 polishes mulitchromes and holo/multichromes. A red multichrome with shifts of purple, fuchsia, red, gold, bronze. Formula: I need to find another way to describe formula because, perfect, awesome and amazing just doesn’t come close. FLAWLESS!!! I like that! Overall: If you already own GLL then you are familiar with the brands amazing quality and beautiful polishes. This collection is all that AND an bag of chips!! But don’t take my word for it, buy them and see for yourself. What do you think of this collection? Will any make it home with you? Hey y’all, before we get into the swatches I have to share with all how devastated I am about what happened to me last night. I had to register my son, my first born, my baby for high school classes. I knew this day would come but I think I was in denial about it because I didn’t want to face reality. As I sat there in the middle school auditorium and listened to the high school department heads discuss mathematics, science, social studies, etc, I wondered, ‘how am I going to get these next 4 years?’ things are happening so quickly. I guess I’ll have to drown my tears in polish. Today I have swatches of the upcoming Multichrome Madness FB Group Customs. 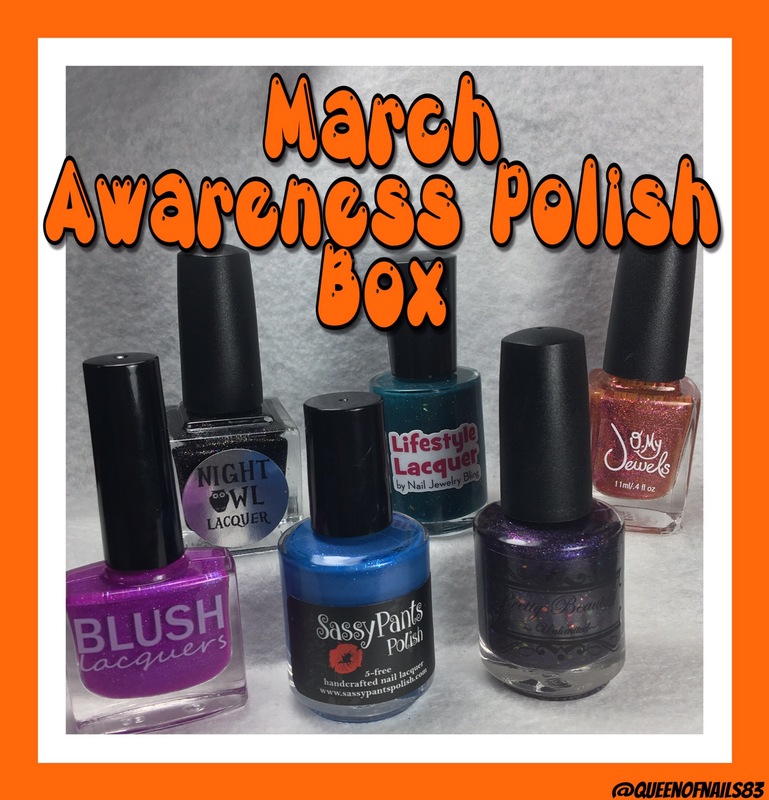 This month’s customs are created by none other than Mariah of Great Lakes Lacquer (GLL). I don’t need to tell you how amazing GLL are because if you’ve been following my blog for the last couple of months, then you can see for yourself. I will say though, that the Multichrome Madness FB Group is killing it with the group customs. They are working with the best of the best and the makers are stepping up to the challenge and knocking it outta the park. A deep teal linear holo with a strong shift from lime to aqua to purple. Why Does The Air Hurt My Face? A medium purple leaning gray linear holo shifting from red to pink to gold to green. A multichrome linear holo shifting from lime to aqua to gray to beige like pink. Application: melted like buttah on a hot biscuit…lol aka perfect!!! Overall: This must be the year of the multichrome and Mariah has created and set the bar super high with these amazing colors, shifts and finishes. I’m not going to say, “these are a must have!” because that should be assumed. I will say that you will be disappointed if you miss them. Notes: Because these are group customs, to purchase please put Facebook name in the comments section of order. Good Morning! I hope you all had an amazing weekend. Personally, I’m a little tired but that’s life and what I get for staying up past my bedtime to watch the Super Bowl. Speaking of which, how many of you tuned in to Super Bowl 51 last night? It was a great game….the way football should be! The commercial were just…ok, but that halftime show thought! Lady Gaga did her thang and was amazing. I couldn’t help wonder if I had a polish reminisant of her costume, all bright and glittery…lol. Tell me you weren’t thinking such things too?! Anyway, today I have more awesomeness, swatches of the Ever After and Tonic Sweetheart Quartet. I’m going do my best to keep this post short and sweet because TODAY IS THE LAST DAY to pre-order and trust me, you don’t want to miss out. Before we head into the swatches, I just want to say how would have loved to be a fly on the wall when Rachel, Miranda and Lindsey decided to create this quartet. I imagine it went something like this. Even if it didn’t happen this way, both brands created gorgeous masterpieces! Don’t believe me, just watch (in my Bruno Mars voice)! Availability: Released February 3rd only through the Ever After web shop. There was 40 sets available for immediate shipment and now a three day pre-order window for any additional orders which CLOSES TODAY 2/6 AT 8pm est. Overall: I love the non traditional Valentine’s Day shades. These two makers did an amazing job with this quartet and it’s a must in any addicts collection. Don’t miss out on these polishes!! !